← A breeding frenzy of gliding tree frogs! 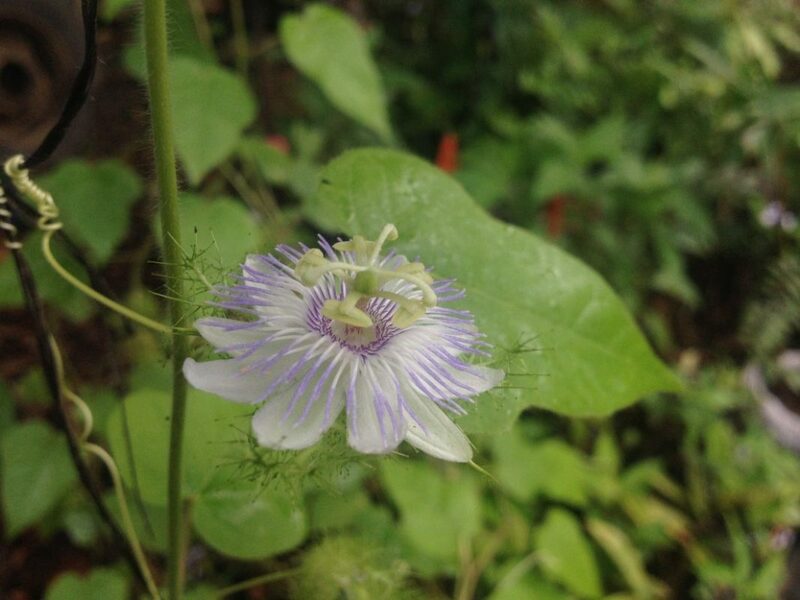 Passifloras are vines commonly called passionflowers. While some of them are purely grown for ornamental purpose, others are grown for their edible fruits (passion fruits, granadillas, etc.). Many tropical rainforest insects and plants have had a long love-hate relationship. I am fascinated by plant-animal interactions, and passifloras are a splendid example of coevolution and intelligence. 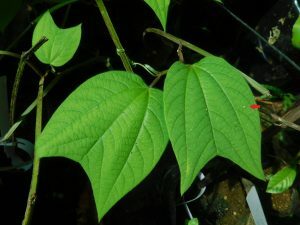 This species of passiflora has an unfriendly relationship with heliconius butterflies, who lay their eggs on the leaves of passionflower vines, which eventually hatch into hungry leaf-eating caterpillars. Passifloras try to protect themselves with a range of defenses. One example is that the passifloras contain a chemical defense, they produce cyanide present in the stem and leaves. However, heliconius butterflies have acquired the ability to integrate this poison and even use it to defend against their own predators. Another strategy is that the passifloras will perform mimicry by copying leaf shapes of other plants that are not hosts of the heliconius butterfly eggs. Through this form of camouflage there is a chance that they can avoid, or at least reduce the possibility, of being preyed upon by these hungry caterpillars. 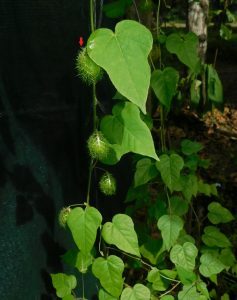 This passiflora method is to grow structures on the leaves to look like butterfly eggs. Since the female heliconius butterflies are extremely careful when selecting sites to lay their eggs, if the leaf appears to be occupied, the butterflies will move away and continue searching for a different place to lay the eggs. Some passifloras also have glandular structures, which secrete sticky and smelly substances that trap small caterpillars to prevent them from munching on their leaves. 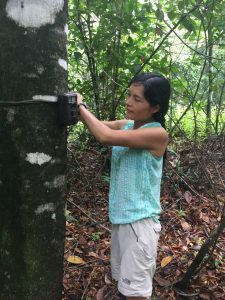 Additionally, the passifloras will also receive help from other organisms by producing nectar to attract ants who will then pick off young heliconius caterpillars. In return, the ants are rewarded with sugar (a great example of a mutualistic relationship!). Who knows how the heliconius butterflies will evolve to overcome these defense tactics! Meanwhile, we will continue searching for more species of passiflora native to the Osa Peninsula, learning more about this interesting plant and how it interacts with flora and fauna.